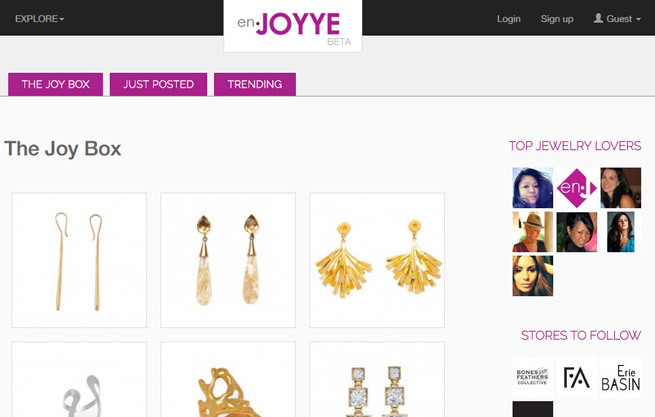 en.JOYYE is a social shopping community where jewelry lovers can discover and shop for the latest jewelry trends from around the world. 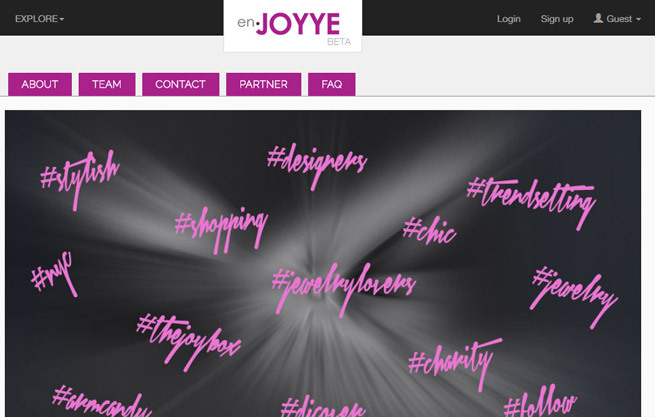 en.JOYYE is different from others because it is a niche community, and our collections are socially curated by passionate fashionistas and jewelry lovers. 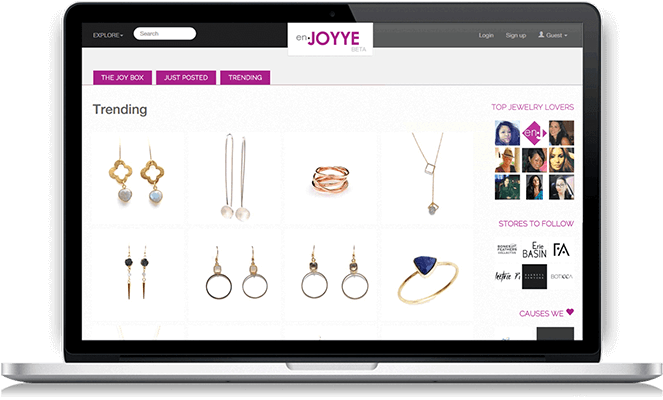 At en.JOYYE, people can explore, discover, share, save, and shop for that ultimate statement piece while bringing JOY globally to others in need because 10% of every sale is shared with associated charity houses. 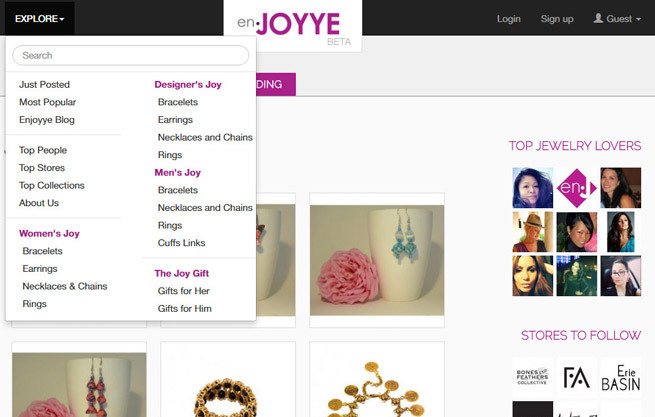 We work as a startup, so we're very fast-paced, and CodeMyMobile has adapted to our pace. We're very happy with their team. 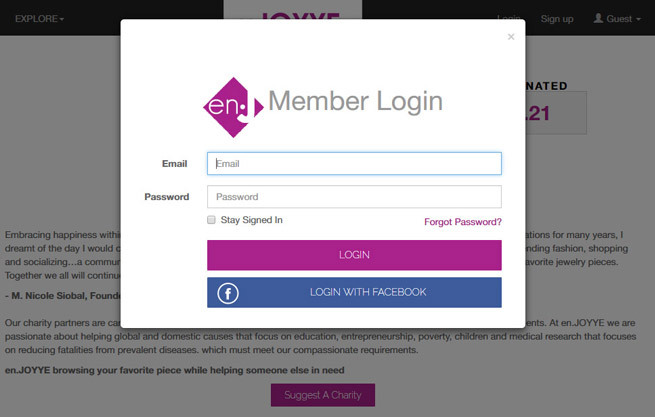 A collaboration of this kind is a two-way conversation. 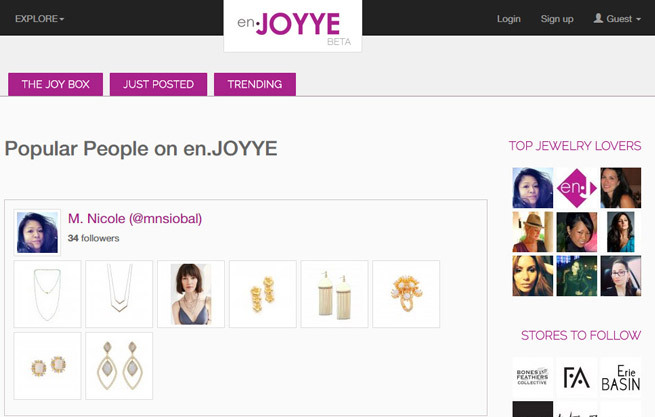 Find your friends through Facebook, Twitter or e-mail. 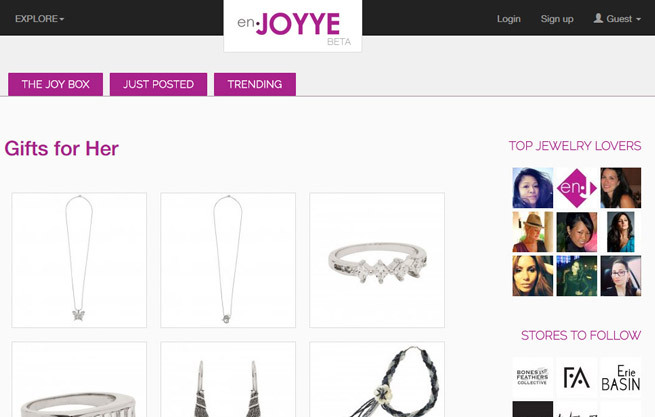 Find out about new designers/brands or products you may like from all around the world. 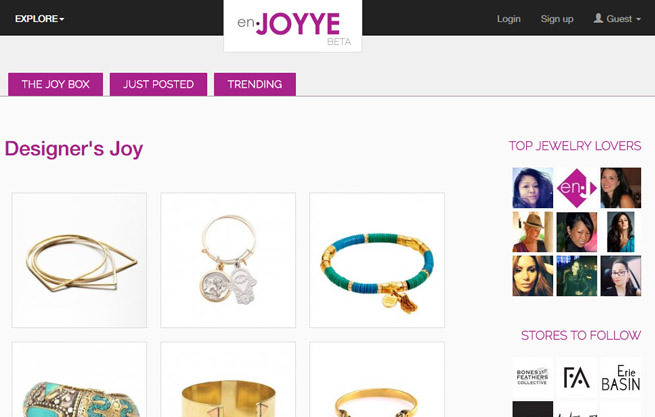 Follow friends, new friends and favorite brands by simply clicking on the ‘Follow’ feature.